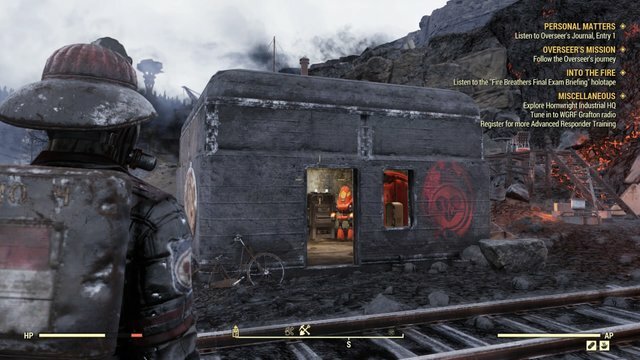 Into the Fire quest will bring you to experience a journey from one of The Responders (the brave firefighters, police officers and medical professionals with their mission to help each other, no matter the cost) in Fallout 76. 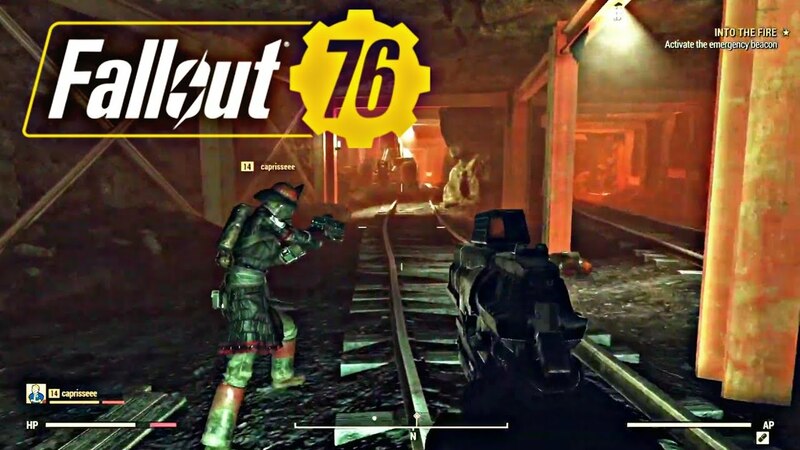 Yes, Into the Fire quest is one of The Responders faction quests you will find in Fallout 76. 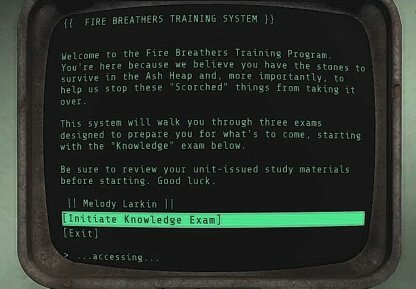 Here, you will register yourself to become a member of Fire Breathers (the elite team who brave the fires of the Ash Heap). 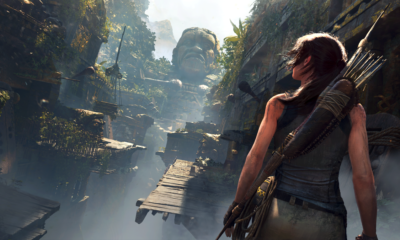 Addition with XP and Caps which will depend on your player level, as well as other factors, such as miscellaneous objectives. Head to the Charleston Fire Department on the border of The Forest and Ash Heap on the south side of Charleston. 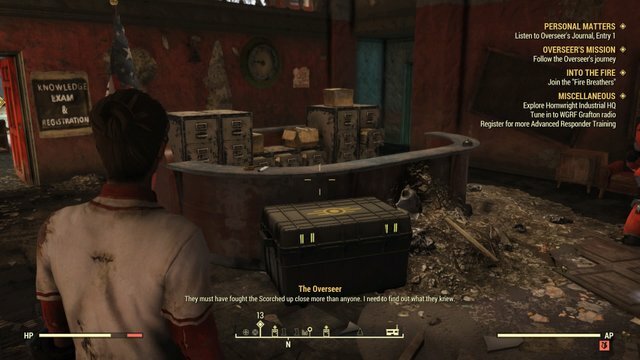 Search the Overseer’s Cache directly inside the building to begin. Just beyond the main lobby of the Fire Department is a Knowledge Exam Room, you will see the room full of several terminals and school desks. If you wish to start the path and become a Fire Breather, you will need to pass the test by answering all 7 questions correctly. 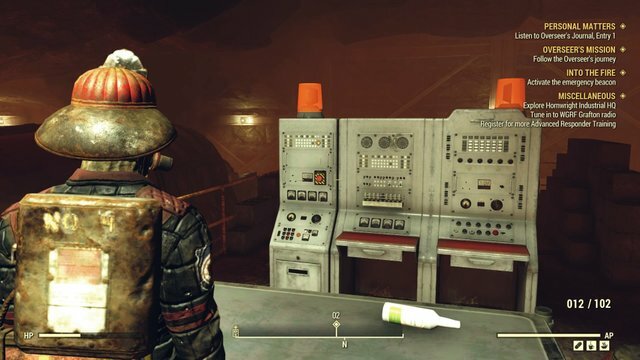 In the Knowledge Exam Room, you will find some pamphlets which detail what to do in case of smoke, water, or gas, and also a pamphlet on dealing with the Scorched. The room beyond is a gym, and one of the lockers has more items on safety guidelines.Out in the garage, you need to search more lockers and you can find a first aid note with a recipe you will need for the exam. 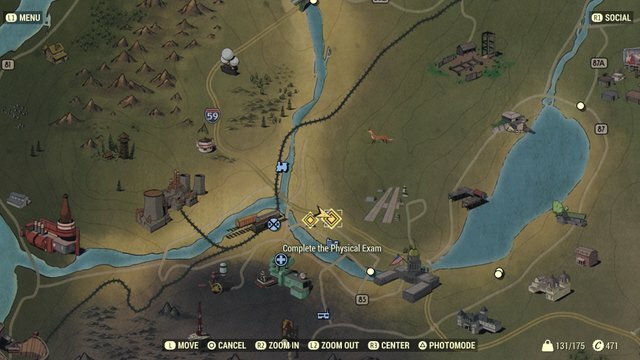 Once you get a perfect score, then you will allow to pass the first part of this quest, also will be given coordinates to take the Physical Exam, which located back at Charleston up to the north. 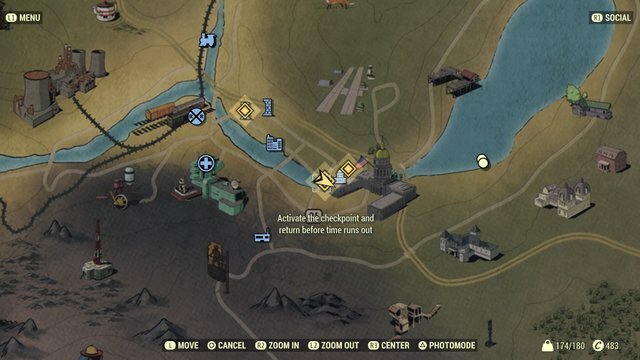 You can visit the trading post on the second floor if you need to get any supplies, then straight away head to the north. The physical exam is located in the Charleston Herald. Simply follow the quest marker and red painted arrows until you find the Firebreathers Physical Exam Terminal. When you are ready to take the exam, use the terminal and start the exam. Runner’s High is the name of Physical Exam quest, this quest requires you to run back and forth between two switches, named Point A and Point B, one time within 3 minutes. Begin the quest through the terminal, wait 15 seconds, then press the Point A switch once you hear the voice say the test has begun. Run forward across the bridge, follow the arrows towards Point B, you will need to cross a bridge into the next building, head up one floor, then leap back down to street level. Follow the arrows along the ground that will lead you to Point B right next to the Charleston Capitol Building. 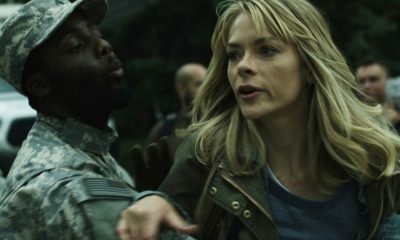 To be noted, you will come across Feral Ghouls, Super Mutants, and Nascent Snallygasters along the way. Ignore them if you want, but it will probably make things easier if you just kill them and keep on moving. Once you’ve reached Point B, keep following the arrows back to the Charleston Herald. Climb up the fire escape outside the building and return to Point A. Use the terminal once again and select “Initiate Final Exam” to get your next objective which is located near Belching Betty to the south. Here, you will have to walk through the Supermutant infested bar, The Rusty Pick. 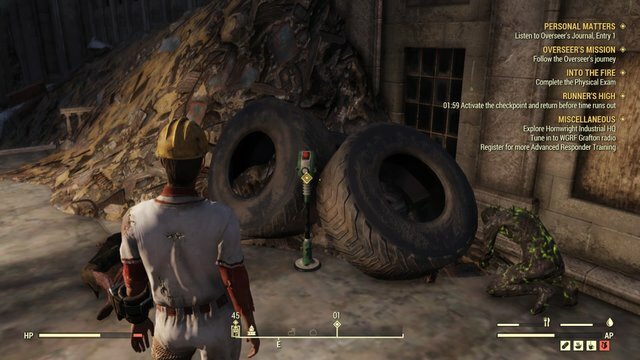 It’s up to you, either you want to run through or deal them for some extra loot and experience. 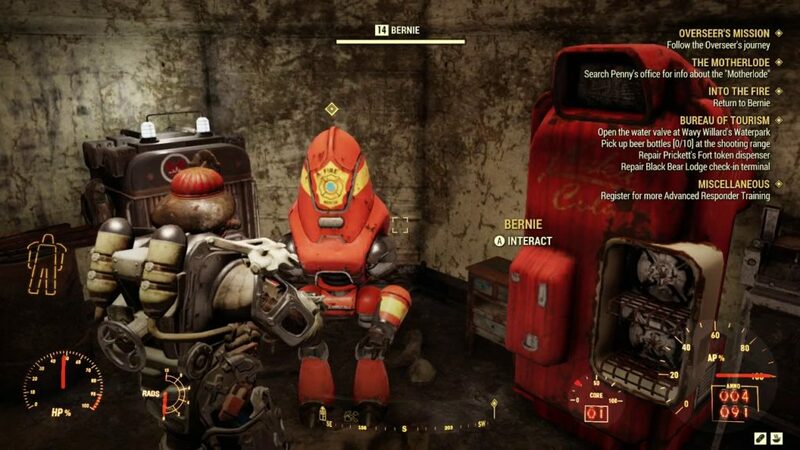 When you reach Belching Betty, head into the metal shack near the entrance and speak with the Protectron named Bernie, he will give you a Fire Breather Kit Ticket, which you can use on the nearby Kit Dispenser to obtain a Fire Breather Helmet, Fire Breather Uniform, Anti-Scorched Training Pistol, and some 10mm Rounds. Wear them all and once you’re ready, it’s time to find the emergency beacon. 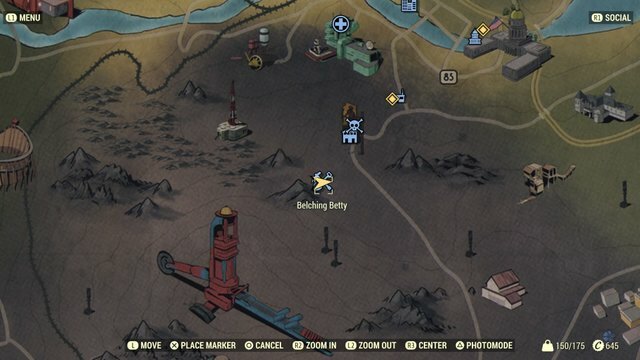 You will find plenty of Scorched enemies in Belching Betty, so just head into the office directly to the left when you walk in and grab the Bobby Pins off the table. 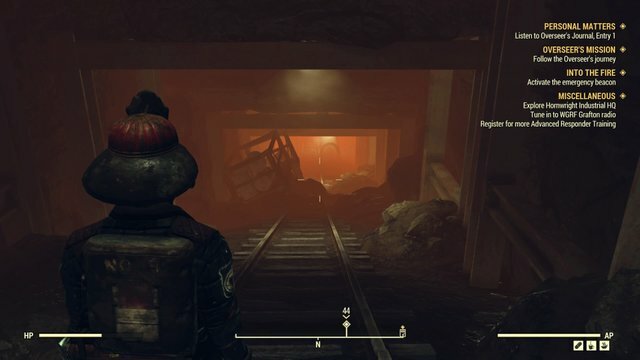 Search the other nearby rooms for any useful loot or ammo, then head past the gate and into the actual mine. 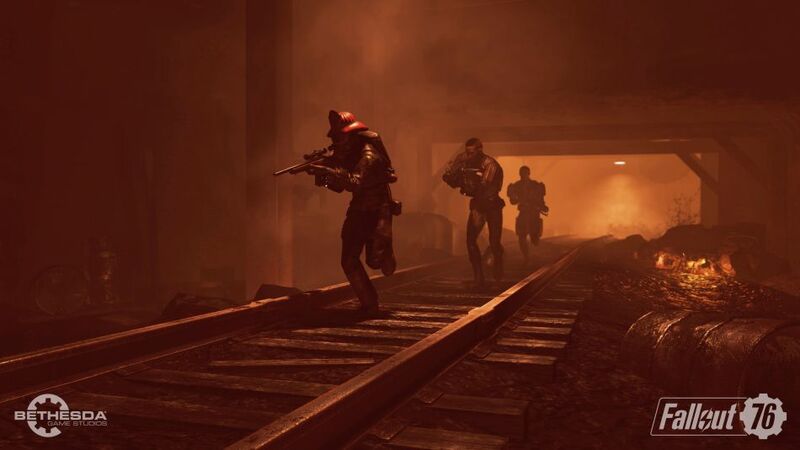 Follow the path, kill the Scorched, and make your way to the bottom room which contains the emergency beacon. 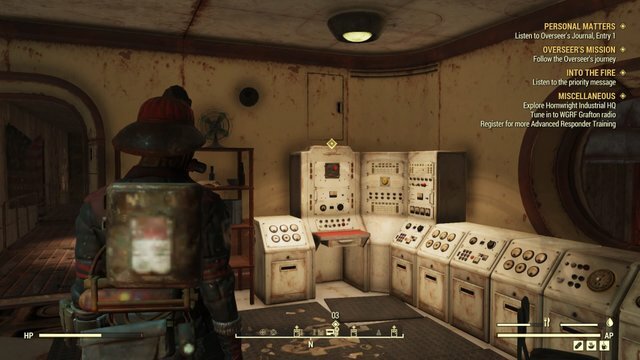 Clear out all of the Scorched in the final room, then make your way over to the emergency beacon. Loot the Fire Breather corpses on the ground, heal yourself, then press the button which will summon more Scorched enemies. 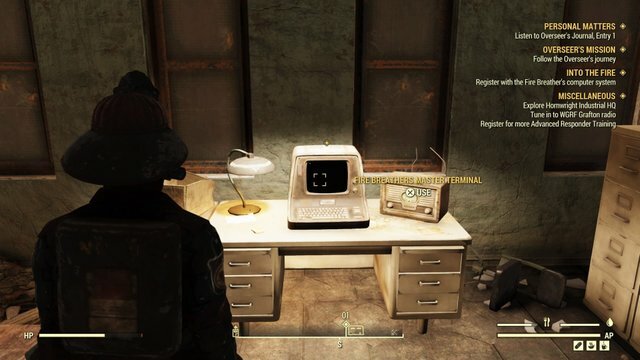 Get back out of the mine and you will find a small room containing a workbench, first aid kit, and a machine with a fusion core you can take. Once you are done in the mine, head outside and speak to Bernie once more. He will congratulate you on completing the test and tell you to head back to the Charleston Fire Department to complete your registration. Now walk back to the station then find the Fire Breather Master Terminal on the second floor. Register as a new Fire Breather, and check out the Schematics option for some free plans. Your final objective is to listen to the priority message. 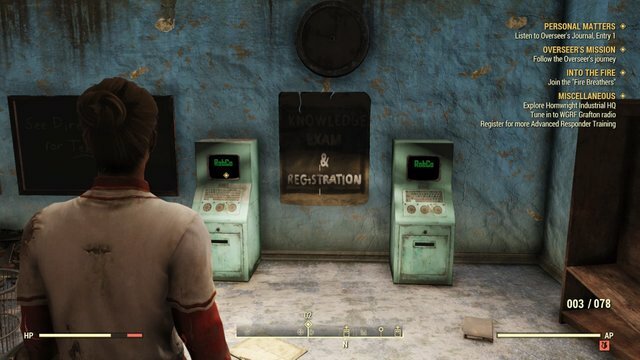 Head up to the Trading Post on the second floor and press the button marked by the quest marker to listen to Hank Madigan’s message, and there you go, the quest completed! Getting tired or getting excited? Come on, you’re not even halfway to go! Next quest: The Missing Link will come with three sub-quests to be completed. So, prepare yourself!